PT Goosey Ltd was established in 1951 by Mr Patrick Goosey and subsequently ownership was transferred to Mr Paul Goosey. The name change occurred when our franchise agreement with Resene Paints Ltd was mutually terminated. We now trade under the name of PB Goosey Ltd.
During Pat Goosey’s career he had a prominent role in the Canterbury and NZ Master Painters Association being President of both Associations. Pat is a life Member of the Canterbury Master Painters. 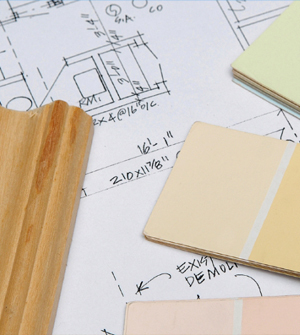 He has been an assessor to the NZ Qualifications Authority for painting and decorating. Working contracts in Pats time included high country farm maintenance, Housing NZ, NZ Army, Meat Processing Plants, Ministry of Education refurbishment and maintenance for the Marine Engineering Industry. 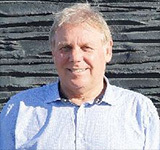 In 1981 Paul Goosey became involved in the Company from a background in painting and decorating and management in the furniture industry. Until 1993 the Company was primarily involved in residential and commercial painting and decorating operations. At this time P.T. Goosey Ltd entered into a franchise agreement with Resene Paints Ltd to promote and market their products in the New Brighton area of Christchurch.